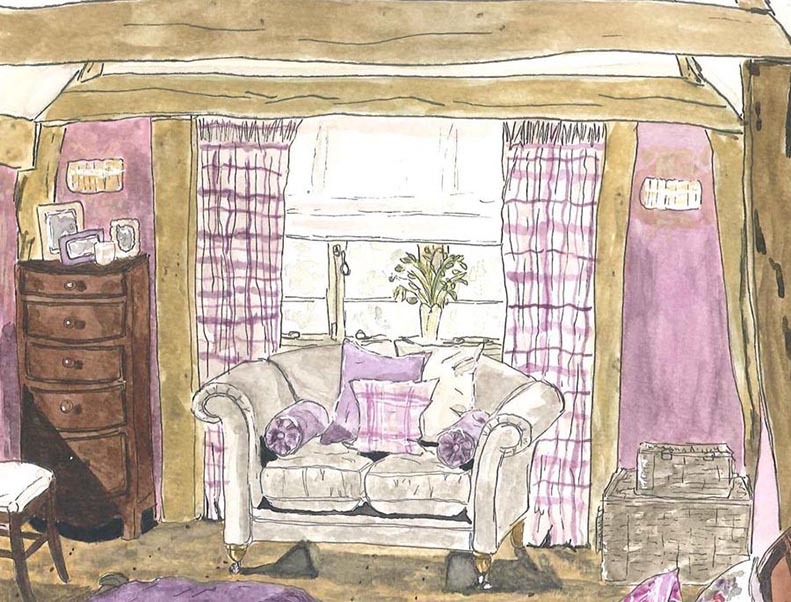 Interior inspiration doesn’t get better than our Wisteria Lodge collection, so we have partnered up with the lovely Katharina from Tinkl Illustration to re-create some of our gorgeous Wisteria Lodge scenes. 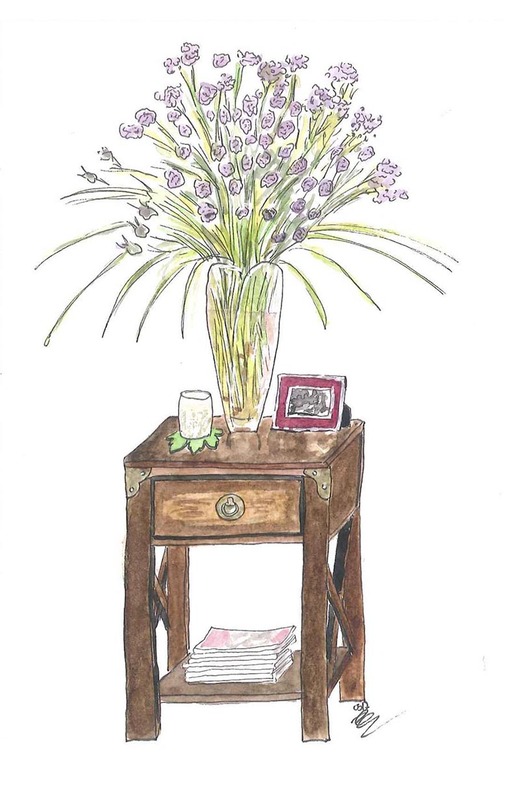 If you are someone who likes to embrace each season into your home, there’s no need to look any further than our Wisteria Lodge story. 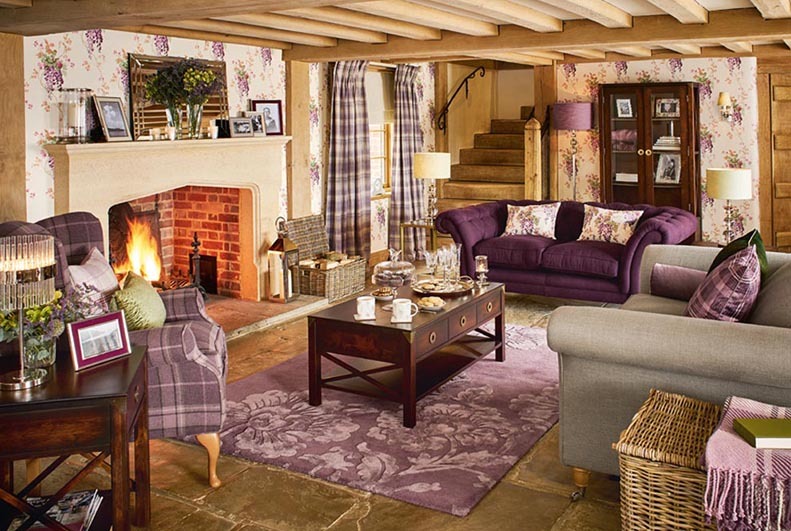 Filled with rich colours and pretty prints, your home will be looking warm and cosy! This classic floral design has proved a firm favourite in a variety of colourways,each offering something slightly different. The beautiful re-colouration suits the season perfectly. With its warm rich tones, our new blackberry colour gives the overall look depth and sophistication. If going for the full look is a little intimidating then opt for some of our decorating accessories in this lovely new colourway. 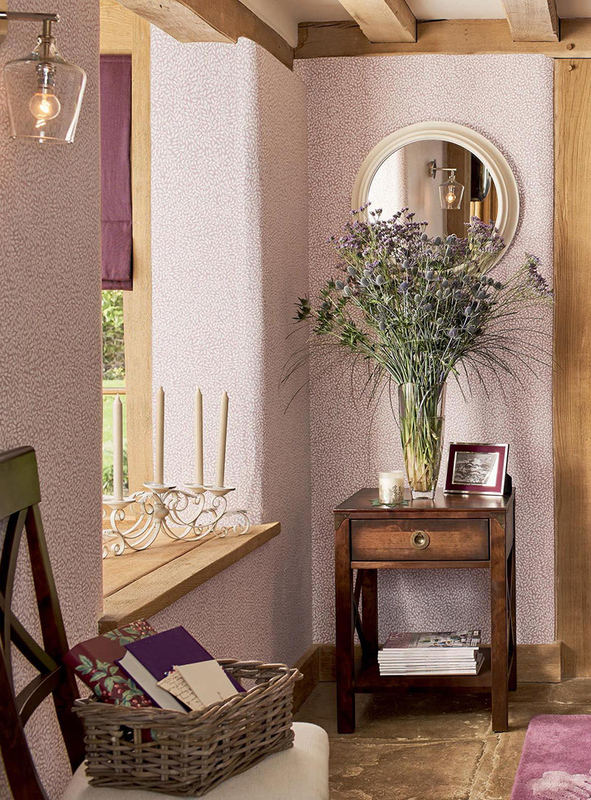 We have co-ordinated it with a re-colouration of little vines wallpaper in pale grape. 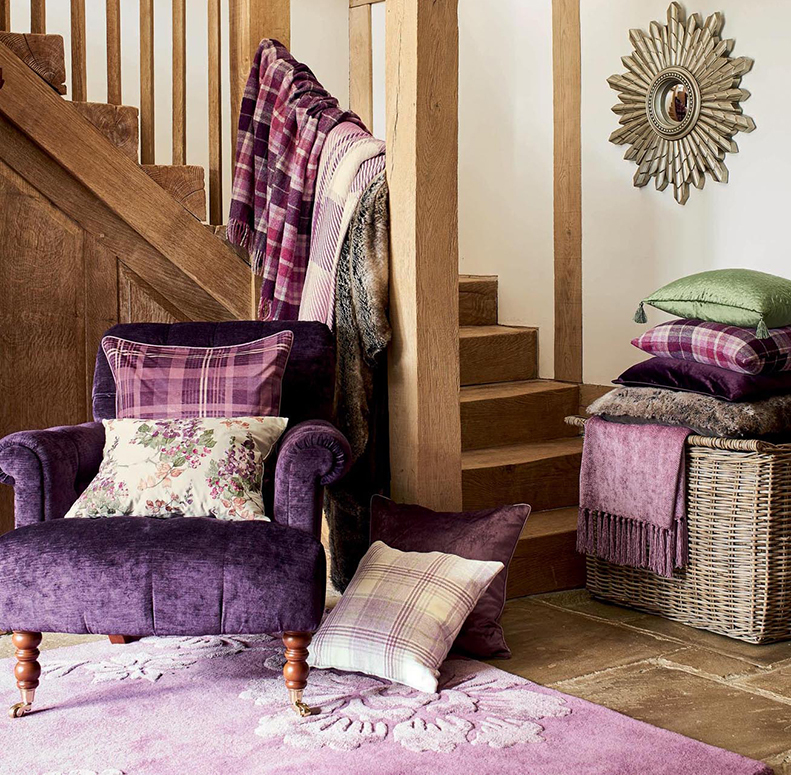 To give you a choice the accessories are a mix of grape, blackberry and hedgerow. 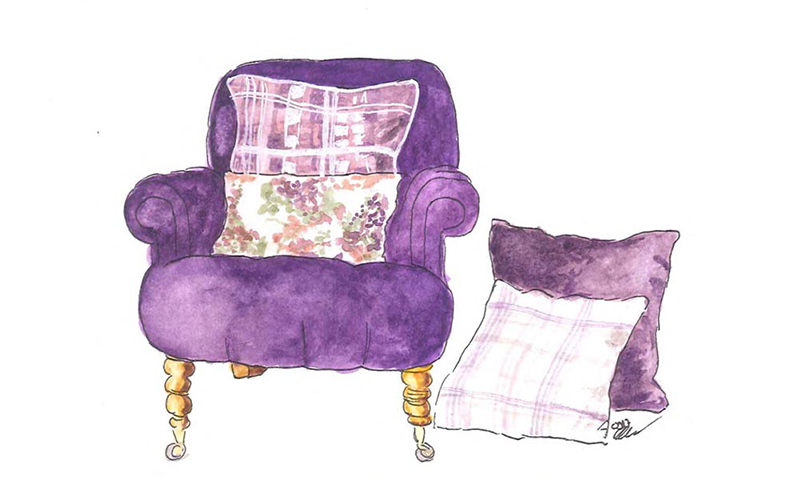 There is a new bestseller Nigella cushion in blackberry with a printed velvet cushion in grape. 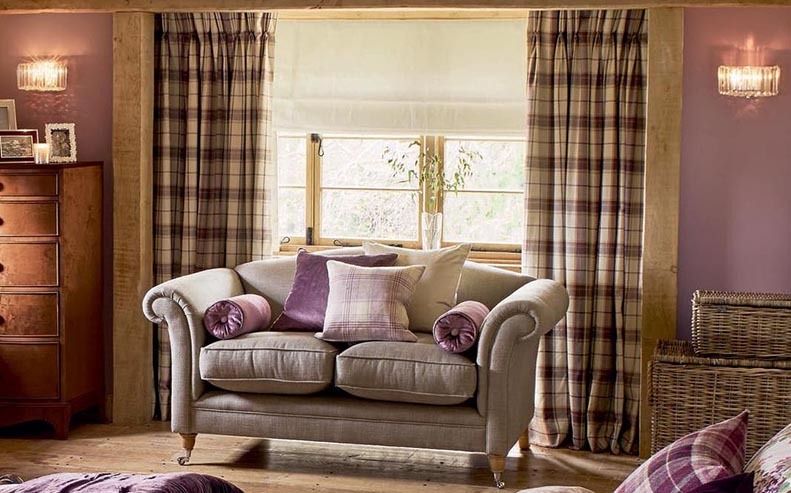 Wool check cushions and Dylan and Lothian throws add to the cosy look. And of course, we haven’t forgotten to offer a perennial favourite, an embroidered wisteria cushion. This entry was posted in At Home and tagged blackberry, blankets, bolster, check cushion, check fabric, curtains, cushions, fabric, Grape, highland check, little vines, pale grape, purple, purple floral, purple flowers, throws, ultra violet, velvet, velvet cushion, violet, wallpaper, Wisteria, wisteria lodge, wool cushion, wool throw. Bookmark the permalink.